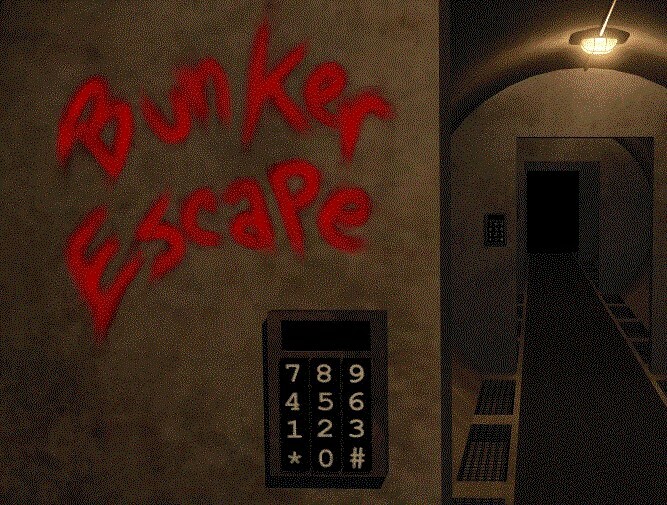 Bunker Escape is a Morse code puzzle game where you must help people escape a bunker in post-apocalyptic Canada. Using the personal information of the six people stuck inside, you must unlock three doors using 4-digit keycodes. This works with Windows only. Download all the files. The UserManual.pdf is included with all the source code. To play, just unzip the folders and run the executable (MainWindow.exe). You are a recluse radio operator living in the post apocalyptic wasteland of Canada. Everyday you sit in a room full of radio's tuned in to different broadcasts monitoring the surrounding area. Then one day you hear an SOS tapped out in Morse Code. You assume their other means of communication are down and thus are limited to only send and receive messages in Morse Code. You begin talking to the person manning the communications room and learn that in order to get them out you must discover a four digit code to open the door to their room and let them out. They also tell you that there are two more doors beyond theirs in order to escape from the bunker. The code for each room is based off of the personal information of the people trapped inside. Can you help them all escape? 2. How many years have you been at this outpost? 3. How many people are in your immediate family? 6. How many tattoos do you have? 9 _ _ _ _. WE RECOMMEND USING A PAPER AND PENCIL!! !